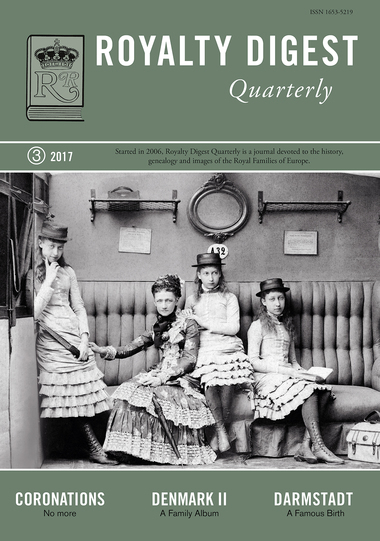 Parents-in-law of Europe In the new issue of Royalty Digest Quarterly (3/2017), Charlotte Zeepvat has outdone herself in regards to the Family Album, which this time covers the family and descendants of King Christian IX and Queen Louise of Denmark. In over 100 amazing photographs, many rarely seen before, we get to know the Danish and British Royal families as well as the Romanovs, the Greeks and the Hanoverians. Also: The Coronations of Scandinavia, A very special Birth at Darmstadt, Princess Katherine of Greece and many more Romanian letters. 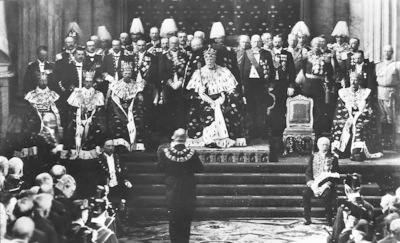 King Oscar II opens the second extraordinary Parliament of 1905. From the left: Prince Eugén, Prince Wilhelm, Crown Prince Gustf, King Oscar, the absent Prince Gustaf Adolf's empty chair and Prince Carl. 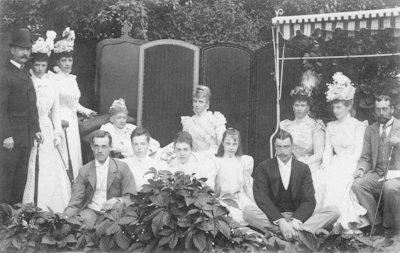 The summer of 1898, and Queen Louise’s last family reunion. (From the left), King George, the Empress of Russia, the Princess of Wales, Queen Louise and the Duchess of Cumberland (centre). In front are the grandchildren: Mikhail and Olga of Russia; Marie Louise and Olga of Cumberland; Christian of Denmark. so she could see their eldest child Prince Edward, then four years old. A group taken at Broadlands after the wedding at Romsey Abbey of the Hon. Patricia Mountbatten with John, Lord Brabourne, 1946. This was not the usual society wedding; apart from the families, the abbey was filled with estate staff, townspeople and a few old friends. Standing, left to right: The Duchess of Kent, Viscount Mountbatten, the bridegroom, King George VI, Viscountess Mountbatten and Squadron Leader Charles Harris St John, best man. 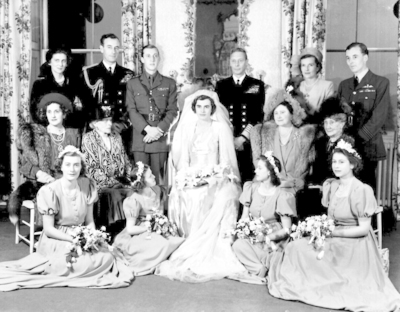 Seated: Doreen, Lady Brabourne (mother of Lord Brabourne), the Dowager Marchioness of Milford Haven (the bride’s grandmother), the bride, Queen Elizabeth and Agatha, Marchioness of Sligo, the bridegroom’s maternal grandmother. The bridesmaids are the Hon. Pamela Mountbatten, Princess Alexandra of Kent, Princess Margaret and Princess Elizabeth.